Bring your passion, your talents, and strengths to Accenture because being you works. At Accenture, you can be yourself and make a difference. Hear from our women on what enabled them to do amazing work. I’m with Accenture Strategy in ASEAN, supporting consumer goods and services enterprises in finding innovative solutions to complex problems. I help them develop forward-looking strategies on a gamut of objectives, from growth to cost optimization. Through my role, I enable clients to make the pivotal decisions that ensure their success. What do you find most interesting in your career within the consulting/technology industry? The exceptional opportunity to be involved in diverse projects and gain exposure to different vertical markets is very exciting. I thrive in the knowledge that there’s always a new challenge just around the corner. One time, I even went “undercover” as a foodie tourist in our quest to help a global foods manufacturer determine a strategy for doubling its food service revenues. Tell us about your interests. What personality traits do you need to excel in it? How do these help your work in Accenture? Since my university days, I’ve developed an interest in entrepreneurship. I love the challenge of making a business grow. To be successful, one needs to be astute, adaptable and adept with problems and people. These skills are also key to growth in Accenture and I believe my career in Accenture Strategy helps me hone them. I’m part of the global team of Accenture Security. I help organizations create a highly secure cyber environment. Our team helps organizations fortify their cybersecurity and prevent breaches from happening. We study their system structure, strengthen it and resolve identified threats if there are any. This way, companies can be confident that they have strong, secured systems, and can focus on delivering value. Why did you choose to join Accenture over other options? I know I’ll build a good career foundation in the cybersecurity industry with Accenture. As part of a global company, I have the chance to explore, gain experience and get exposure to working in different types of industries. On top of this, I love the working culture of Accenture which gives importance to work-life balance, self-development and gender equality. How has Accenture helped you in developing your skills? 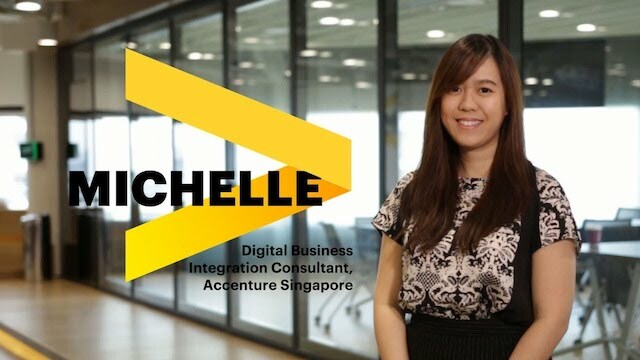 As a fresh graduate, Accenture helped me grow my knowledge on cybersecurity through trainings—both on the job and in the classroom. 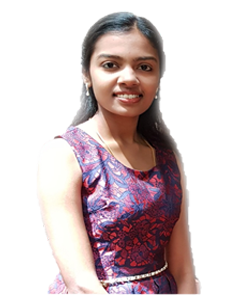 My managers helped me develop my technical skills by introducing me to cybersecurity policies, explaining secure practices and guiding me in using cybersecurity assessment frameworks created by Accenture. I will also attend a training program in St. Charles, USA, sponsored by the company. There is never a dull moment! On top of the exciting work we do to deliver excellence for our clients, I constantly feel empowered to make decisions. My project leaders are open to suggestions, and they listen to my opinions regarding client matters. It has been a great experience so far, and the people I work with inspire me to be a better version of myself every day. 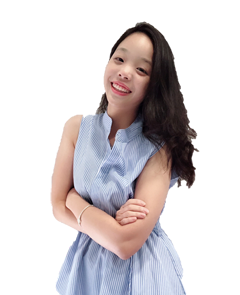 Play video of Michelle Leong. Why is it important for women to go into STEM fields? It’s cool to be a woman in Technology! Being in this field is very empowering. You get to be at the forefront of innovation and build things that can truly improve people’s lives. It amazes me how fast technology moves and grows. It’s constant yet ever-changing. How have you seen leaders model and encourage flexibility? Is this different than in other jobs? Accenture leaders are outcome-driven, and they trust their team members. That is why I am able to work from home or outside of office during days when we do not have any meetings, if required. This flexible arrangement allows me to manage my time better. As long as we are able to do our work efficiently and deliver it well, we can always discuss working arrangements with our managers. I’m responsible for driving improvements in our team’s performance and ensuring that we meet our client’s targets. I deal very closely with the client’s quality team to ensure that we understand their policies and processes and provide them proper support. Play video of Andrea Kalairasu. What’s great about being a woman working in Accenture? I admire Accenture’s stance on equality. It’s great to feel that I can be myself. I have had open discussions with my leads and I’ve shared with them what I want to do, given the passion, strength and experience that I have. I also know I’m treated fairly and my voice is heard, regardless of my position, career level or tenure in the organization. Share something you are passionate about outside work and how your corporate career compliments it. Outside of work, I love to cook. I try to cook or try out new dishes whenever I can. Aside from that, I’m also passionate about sharing what I know and bringing out the best in others. 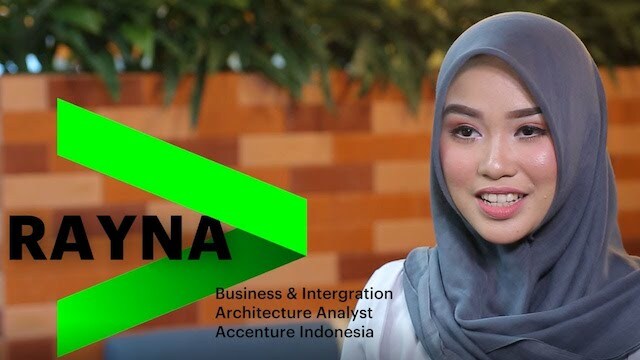 I’m happy that Accenture gives me the chance to pursue my passion and inspire people from various backgrounds and cultures to bring their best selves to work every day. I’m part of Accenture Technology in ASEAN. 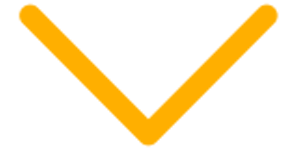 I help clients implement business solutions in SAP, based on their functional and technical requirements. These include understanding their current process, designing and configuring the new process flow, and explaining to them the external know-how. The work I do helps organizations manage their businesses more efficiently, allowing them to stay ahead of the competition. How would you describe working in Accenture? I love to work in Accenture because of its culture, and the fun and dynamic working environment. My colleagues and I have an open communication, and it helps that our team leader is very supportive. On top of that, we are given a platform that allows us to have continuous learning and valuable global connection. How have you been able to grow your career at Accenture? I propelled my career through the open and constructive feedback I receive from both colleagues and clients. As a junior member of the company, I believe it is important for me to learn from the wisdom of my coworkers. 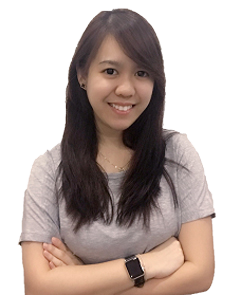 I’m a project manager for Accenture Technology, managing and delivering Distributor Management System (DMS) projects. 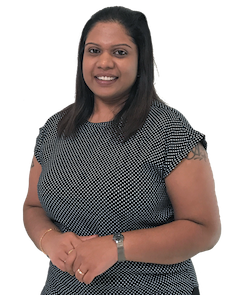 In my role, I work closely with clients to understand their challenges and ensure we deliver solutions that accelerate their business processes. This enables them to plan effectively and increase sales volumes. Accenture provides women with unlimited opportunities and the platform to grow our careers. It also recognizes the contributions that we make and roles that we play for our families. I was one of the first among those who benefited from the extended maternity leave when it was implemented in Malaysia in 2015. The strong support program for women enables me to take the ownership in leading my own team and making my own decisions. Bring in your talents, do your best in Accenture and you will go far! What value do you add in your role — both for clients and for Accenture? I believe the vast experience I gained from working with a reputable and multinational client in the last ten years has helped me understand their needs and transform those into actionable solutions—which my team and I deliver. Making sound decisions and striking a balance between professional and personal goals are also my strengths. At Accenture, our commitment to inclusion and diversity is unwavering. We believe it makes us smarter, more competitive and more innovative—and is a key part of what makes Accenture a great place to work. We are committed to accelerating equality for all and to creating a work environment where everyone feels like they belong. Our latest women’s research shows that a culture of equality drives innovation – and that an empowering environment is an essential ingredient. We believe that flexibility in the way we look at policy, benefits, work hours provides an environment where women can grow professionally and personally at any stage in their life. We publish the demographics of our ASEAN workforce annually to further collaborate and innovate with our people, our clients and our communities around the critical imperative to foster greater inclusion and diversity. Through this, we are also holding ourselves accountable for our progress. In 2018, we continued to work toward our goal of achieving a global workforce of with 50 percent women and 50 percent men, by 2025, and we are proud to have achieved close to 50 percent ratio of women to men across ASEAN. We continue to actively recruit to balance our gender mix and remain committed to creating a culture of equality in which everyone can advance and thrive. New is not waiting for the world to change — it is happening now! We empower women to be change agents, moving beyond boundaries and expectations to define success. 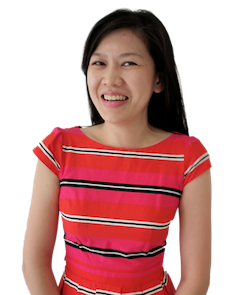 Hear from our HR Head of ASEAN Grace Yip, on how social network data and analytics can remove structural organizational biases by giving a mirror to inclusion and diversity programs. What’s one quality women need to succeed? For Senior Manager Nia Sarinastiti, communicating started with “show and tell” in school. Now she uses her verbal skills to orient new employees and build leadership. Watch the video to learn more. Connecting with co-workers—whether it’s through music or another common interest—is critical to being productive and enjoying work. Check out the various events and activities organized to support and empower women to lead and become Greater Than. The future workforce is an equal one. 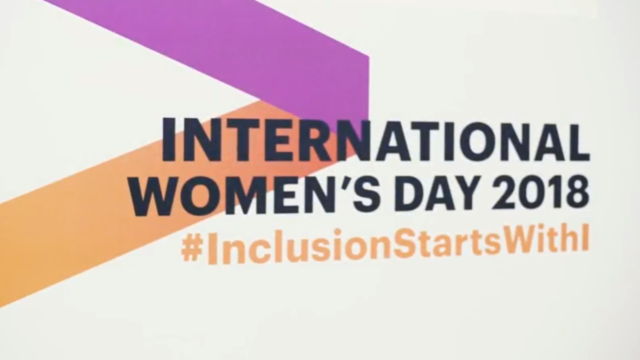 Accenture recently celebrated its annual International Women’s Day and uncovered the key drivers of a workplace culture where everyone can advance and thrive. Watch the highlights of the event in the video and how our people are committed to contribute to Getting to Equal. Do you have a knack for business and technology? At Accenture, we support women in achieving their professional goals and aspirations, as part of our broader commitment to an inclusive and diverse workplace. Whatever your educational background or interests, we have a range of career options in strategy, consulting, digital, technology and operations capabilities. Launch your career here where you can be groomed as the next generation of women leaders. At Accenture, we’re committed to gender equality as it is an essential element of an inclusive workplace—we want more women in our workforce, more female role models in STEM, and more benefits for working parents. Learn more about the career opportunities for women at Accenture. How do the women in Accenture define success? Meet our women and hear their stories of personal and professional growth. To better support our women, Accenture offers many unique programs that aim to empower them to thrive in their careers and lead in the new. Accenture has conducted many original research studies to examine and tackle important issues that women face in the workplace. Read more about our latest findings and insights on initiatives that help women advance in their careers and achieve success. Our celebrations of International Women’s Day give employees across the globe an opportunity to have conversations about how to achieve their professional and personal goals while defining success. Through Accenture’s activities and events at offices and client sites, International Women’s Day underscores our dedication to engaging the best people from diverse backgrounds to deliver high performance. The diversity of our people is part of what makes Accenture exceptional. We believe that no one should be discriminated against because of their differences, such as age, disability, ethnicity, gender, gender identity and expression, religion or sexual orien­tation. Each of us has the power to make a difference and help create a work­place where it’s possible to be successful, both personally and profes­sionally.